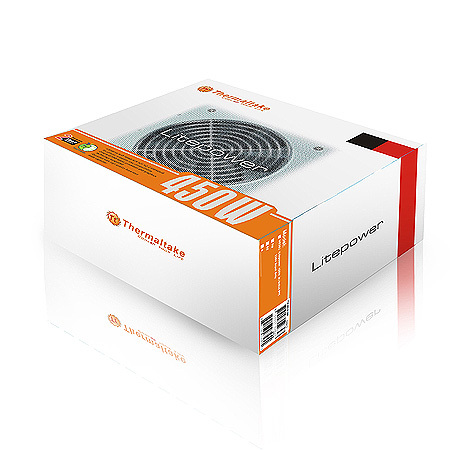 Thermaltake’s entry-level power supplies Litepower, now gets a few new models. 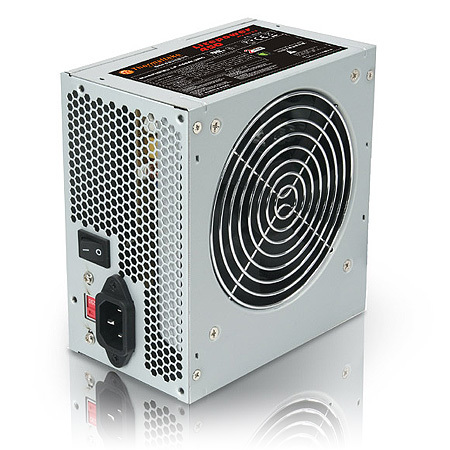 The new 350W (W0363 & W0367),450W (W0361 & W0362), and 550W(W0369) PSUs are ATX 12V V2.2 Standard, featured Over Voltage, Over Power, two independent and dedicated +12V rails, and Short-Circuit protection. 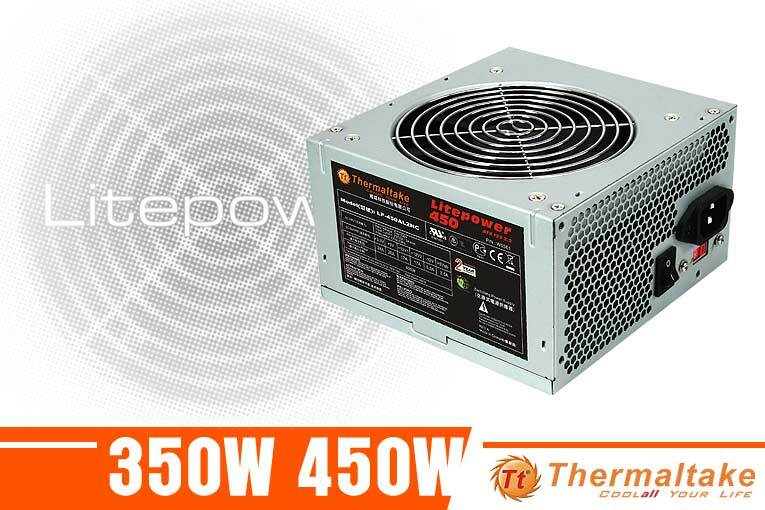 The 350W version is equipped with an 8cm fan, the 450W & 550W version sports a 12cm fan and additional 6pin & 6+2-pin PCI-E power connectors.The Litepower 350W and 450W Active PFC & non PFC models will be available at a suggest retail price of $32.99, $29.99, $49.99 and $47.99 respectively.